Barron County is located in Northwest Wisconsin between Straight Lake State Park and Chippewa Moraine State Recreation Area in the northwestern part of the state. Barron is more of a rolling hill countryside lakes, streams & recreational areas with a couple communities including: Rice Lake, Cumberland, Barron and Chetek. It's surrounded by 8 other Counties: Washburn, Burnett, Polk, St. Croix, Dunn, Chippewa, Rusk and Sawyer. On this site you can search for Waterfront Restaurants, Steakhouse, Seafood, Diners, Cafes, Fast Food, Pizzerias, Eat Stands, Barbecues, Buffets, Coffee Houses, Bars & Grills, Pubs, Taverns, Family Style, Burger Joint, Ethnic Restaurants, Casual Dining, Food Truck Services, Other Restaurants; Greek, Italian, Mexican and more... located in this county, listed by a real estate agents. 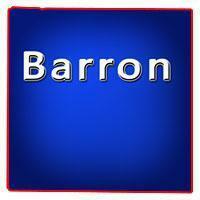 Barron County, Wisconsin GIS MAP Information! Buying a restaurant can be quiet challenging but not as much as running the day to day operations. There are lots of purchasing decisions to make like do you buy a vacant lot and build the restaurant of your dreams OR do you purchase a preexisting building with an established restaurant with regular patrons. Northwest Wisconsin has lots of small towns with a wide variety of restaurants everything from the cafes to the waterfront diners with a signature menu serving the locals and out of town tourists. No matter what Northwest Wisconsin you choose there will be lots of stuff to do including hiring staff, picking out equipment, choosing the right supplies and vendors, making sure your patrons have stuff to do as the spend money in your place of business.